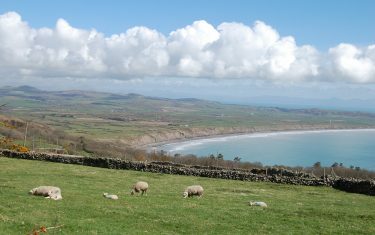 The Llŷn Coastal Path is a route around the edge of Wales’ lovely Llŷn Peninsula, a designated ‘Area of Outstanding Natural Beauty’. 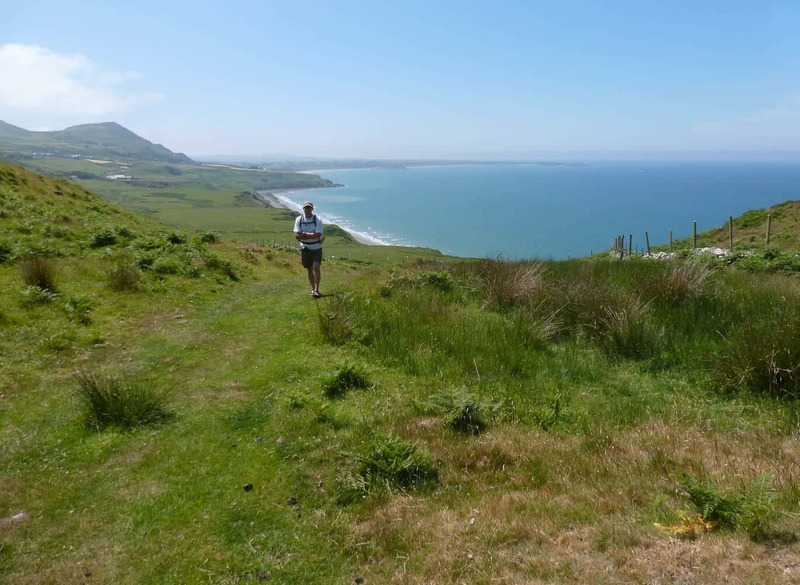 Take a Walking Holiday and discover the best of this wild, scenic area with dedicated hiking routes on the Llŷn Coast Path (or Lleyn/Llyn Coastal Path). 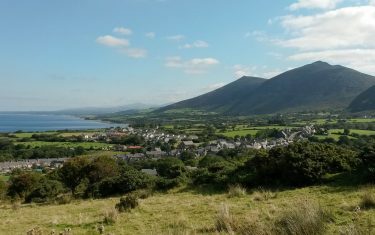 The trail is sourced from an ancient pilgrim route, tracing the spiritual journey taken in early centuries by pilgrims from Bangor. 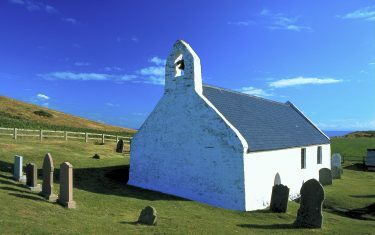 Along the coast of the Llŷn Peninsula to Aberdaron they waited, the final leg of the journey the treacherous crossing to Bardsey Island, ‘The Isle of 20,000 saints’. 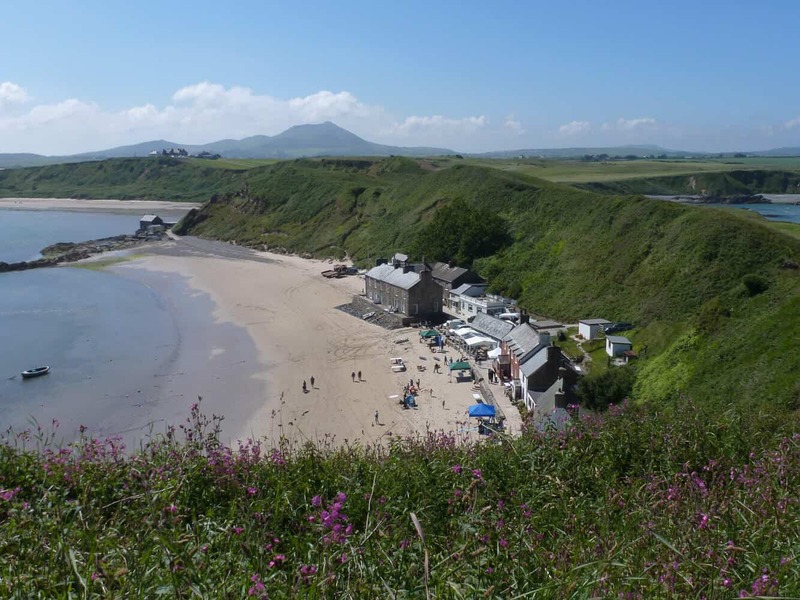 The 110 mile (180km) Llŷn Peninsula coastal path can be walked in a week without too much exertion and you find a great variety within: seashores, (small) mountain tops, sand dunes to cliffs, unspoiled Welsh-speaking villages and popular seaside towns. 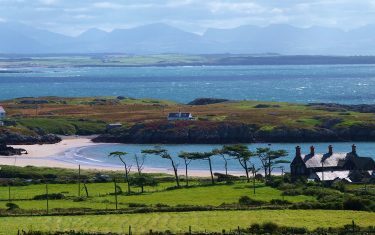 Your walking holiday begins at Bangor or Caernarfon on the Menai Straits and heads out about as far west as the Welsh mainland can take you. 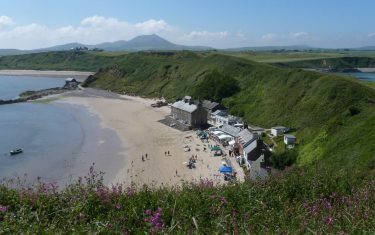 At Aberdaron, the trail returns along the southern coastline of sandy Cardigan Bay to Porthmadog. 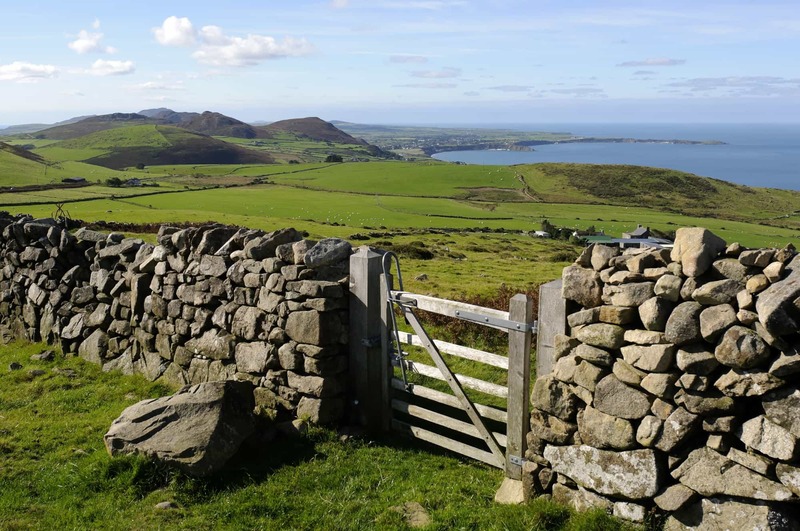 The Llŷn Coastal Path is not entirely a coastal walk, inland hills ascend with stunning views in all directions - west to the Irish coast, east to Snowdonia, north to Anglesey and south to Ynys Enlli, with a magical view of the holy island of Bardsey. 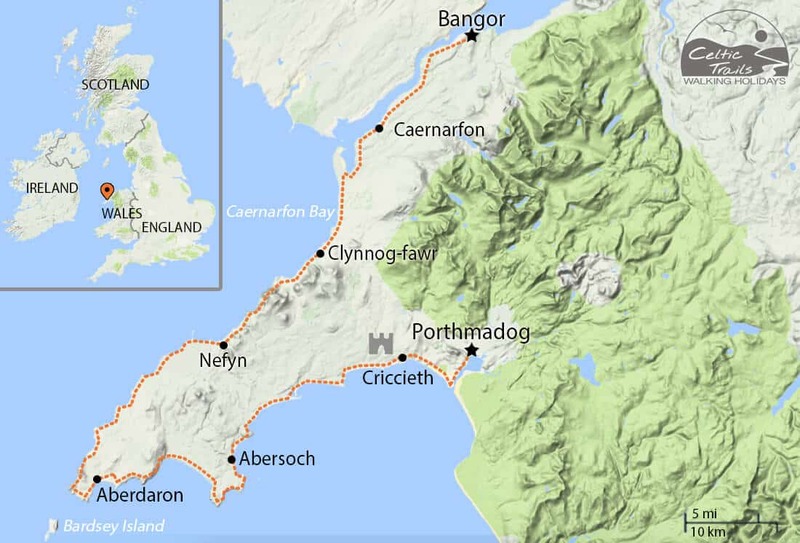 The walk features a fascinating amount of history found in few other places in Britain: 12C coastal castles of Edward I at Caernarfon and Criccieth, Britain’s largest Iron age hill forts, notwithstanding the many unusual 6C Celtic churches along the trail. 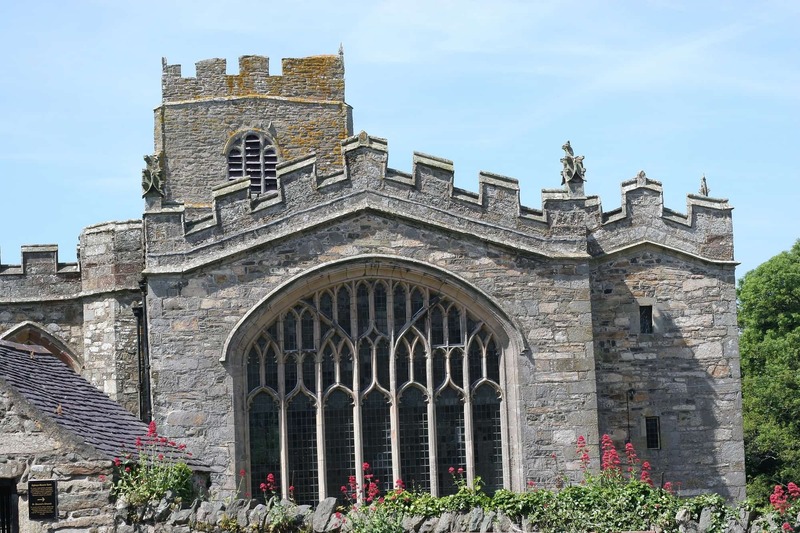 At Llanystumdwy, you can visit the birthplace of Lloyd George, Prime Minister of Britain during WW1 and at nearby Tremadoc, the birthplace of TE Lawrence, Lawrence of Arabia. 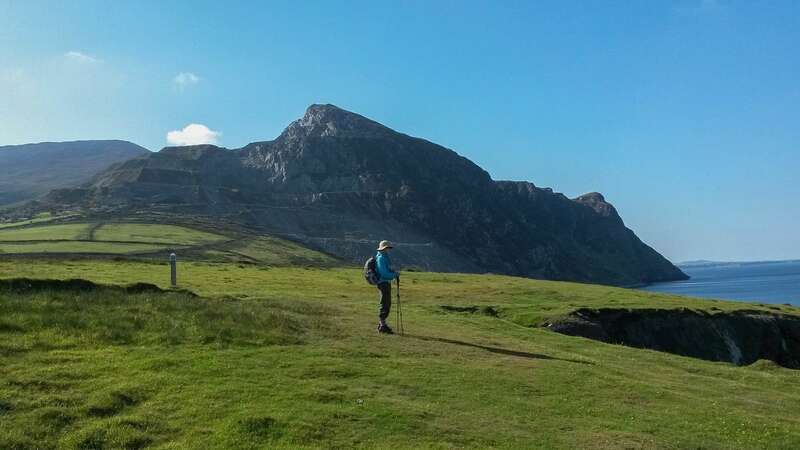 For more information or advice on walking the Llŷn Coastal Coast Path, please call our walk team who will be more than delighted to help you with your holiday. 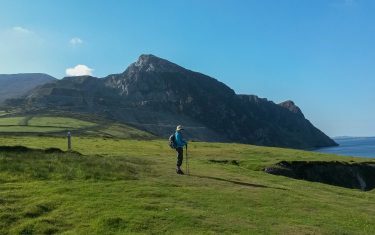 Celtic Trails is Wales’ most experienced walking holiday company with 20 years service providing bespoke walking holidays for clients who appreciate high standards of organisation and value. Walkers can expect coastal ambles in truly unspoilt and often remote stretches of shoreline. The pristine nature of the coast is no small way due to the areas protected status, with numerous bodies overseeing the upkeep of the area as an important cultural place and site of natural conservation and scientific research. 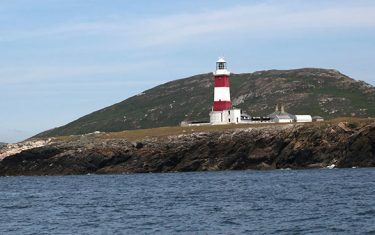 However, the preserved nature of the routes often means the going underfoot is fairly uneven as you make your way towards the tip of the peninsula, with rocky, heather clad slopes. 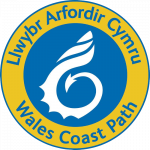 Wooded shores and boardwalk, running parallel to the straits begin the Wales Coast Path route around the peninsula. 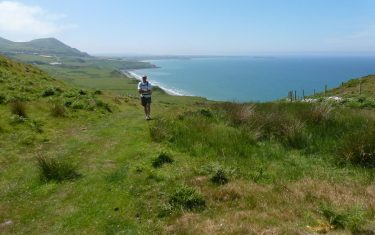 The majority of the route could be considered one of the more 'coastal' of the Wales coastal path, but where the route does run inland you still have a fantastic view of the sea from the open farmland and valleys. Itinerary Information: 13 nights accommodation with 12 walking days. 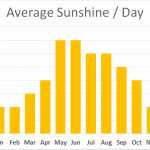 Arrive in Bangor on day 1, walk from day 2 and depart from Porthmadog on morning of day 14. Itinerary Information: 10 nights accommodation with 9 walking days. Arrive in Bangor on day 1, walk from day 2 and depart from Porthmadog on morning of day 11. Itinerary Information: 8 nights accommodation with 7 walking days. 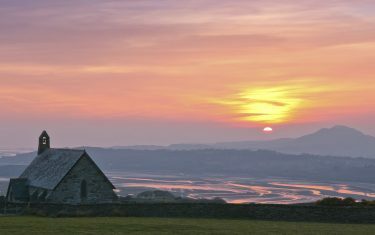 Arrive in Caernarfon on day 1, walk from day 2 and depart from Porthmadog on morning of day 9. Itinerary Information: 5 nights accommodation with 4 walking days. 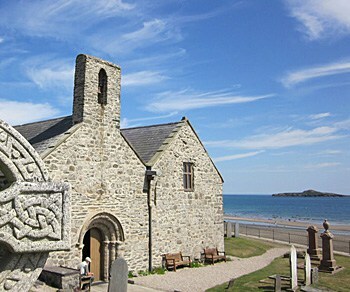 Arrive in Clynnog Fawr on day 1, walk from day 2 and depart from Aberdaron on morning of day 6. 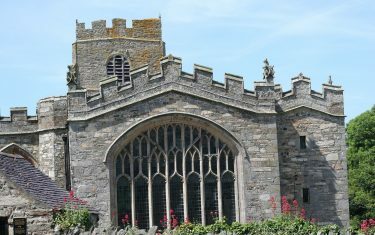 Route planning and walk pack including Official Guide book, OS maps OL253 and OL254, itinerary, accommodation directions, local interest leaflets and holiday planning. A Railway station is located in Bangor. There are frequent trains from London to Bangor. 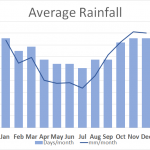 Low pressure fronts coming in on the Irish sea typically hit the coast of Wales first, and as such rain can occur at any time of the year. It's always worth taking a spare pair of clothes and waterproofs in your daypack. 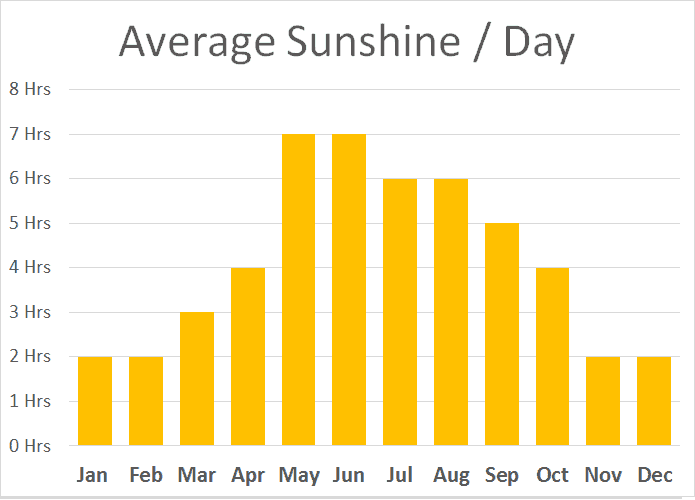 We would would advise travelling between March and November, you'll get the best of the daylight hours for walking and you'll find a lot more places are open when it's not winter. Our past clients rated this walk 4.8 out of 5, read a selection of 15 reviews below. Thank you Nathan and Penny for your emails - service was excellent. I am not ready to go home. The beauty of your country is soul nourishing and sometimes the silence in the hills is so pure. 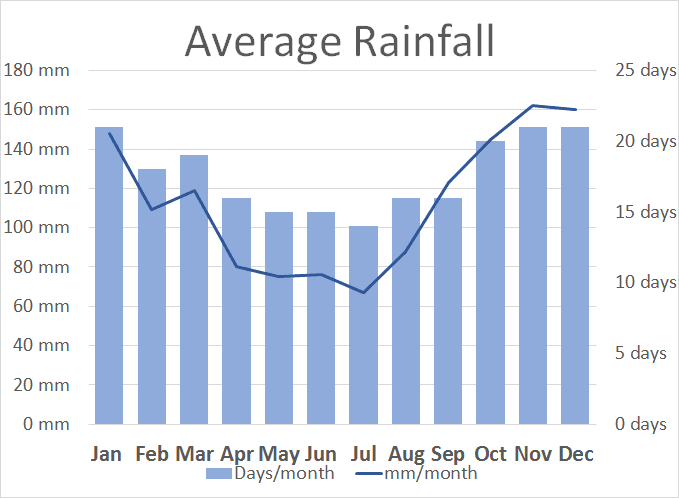 SO much of R.S. Thomas' poetry was alive for me. Celtic Trails is our favourite! We found you 17 years ago when searching the internet for an Offa's Dyke walking holiday. You met our expectations again. Celtic Trails compares very well with other companies. What we most enjoyed about this walk was the scenery, good daily mileages and accommodations were in good locations. This was a stunning walk! The trail was remarkably quiet; we only encountered 4 other walkers - this was fabulous. In retrospect, we wish we'd upgraded our accommodations but we weren't aware it was an option. We have walked with you before and we would walk with you again. Celtic Trails is a happy find for us. "Dear all, a very special thank you for arranging a great week of walking. 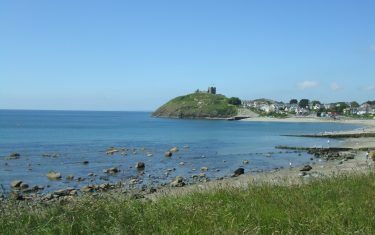 A special thank you to Nathan on your hard work, I will be back for another walk in Pembrokeshire soon. Please carry on with the very good work, proud to be a customer of Celtic Trails." "It was an excellent holiday. 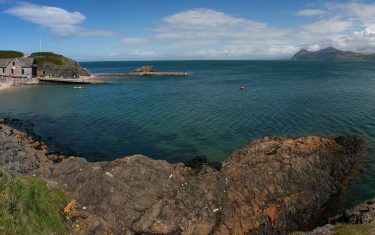 Northern Wales was spectacular, we will recommend this area to anyone. Nathan was fantastic! He gave great advice and always got back to us promptly. Thank you so much for everything. So great!" "Dear Anne, thank you so very much for the great organisation of our trip. 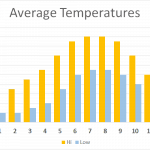 Accommodation and food were fantastic, landscape and weather as well." "Overall, I am extremely pleased with out experience with Celtic Trails! 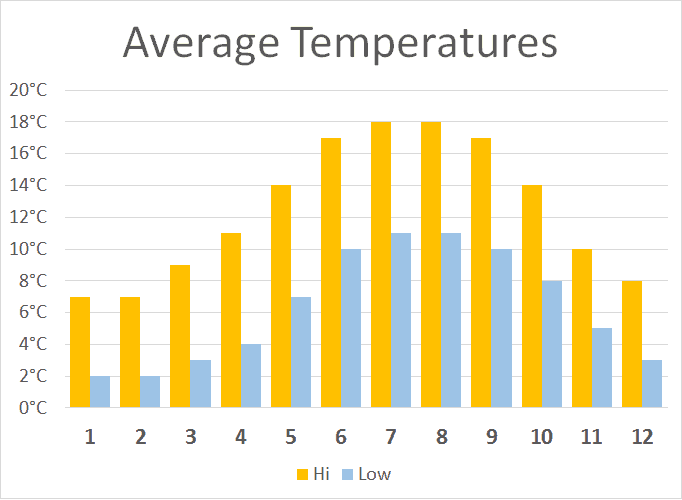 Even before our trip, e-mails were responded to quickly. I was also so impressed with the friendliness of all the people we met. They were always willing to share information and give directions." 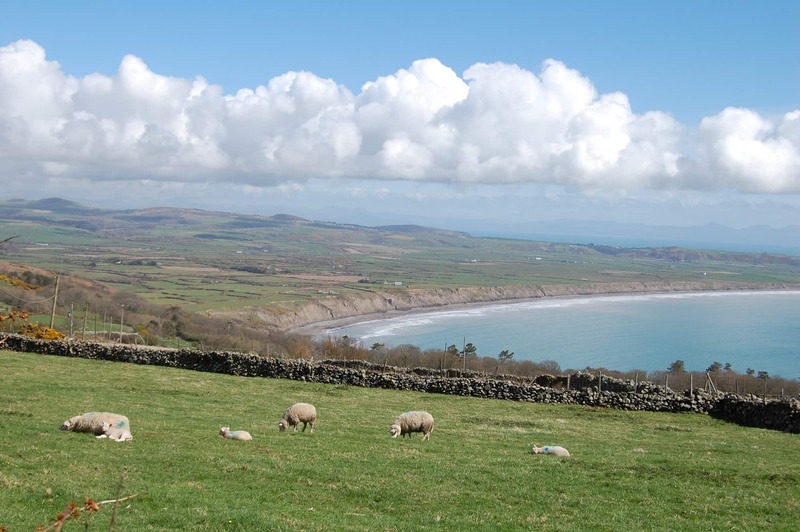 "Beautiful and varied scenery, friendly very helpful people, the baby lambs! I am extremely pleased with our experience with Celtic Trails. Even before our trip, emails were responded to quickly and efficiently and I was also impressed with the friendliness of all the people there." 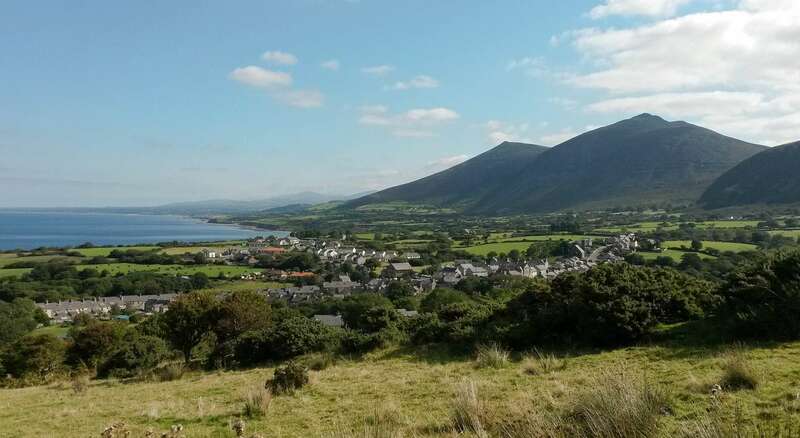 "Great walk with variety of terrain, some wonderful scenery, good food and accommodation." "Dear Anne, thank you so much for your great support to make a superb holiday. Combination of Coastal walking and days in Capel Curig was a brilliant experience ( nb. also walking in Snowdonia - Celtic Trails). Friendly Welsh people, fantastic nature. Many thanks for your organisation." "Overall a great and unforgettable experience. The changing scenery, the sea, the birds; I saw some dolphins beneath Nant Gwrtheyrn and behind Whistling Sands was met by a badger mother carrying it’s own little one in its mouth. Everywhere I found kind and helpful people – I even met an elderly lady who had also walked a lot with Celtic Trails! Thank you for organising a very enjoyable holiday." 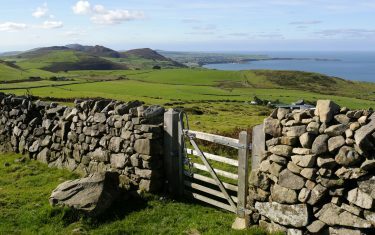 The Llŷn Peninsula Coast Path form s part of the 870 miles of Wales open for discovery along the coast. 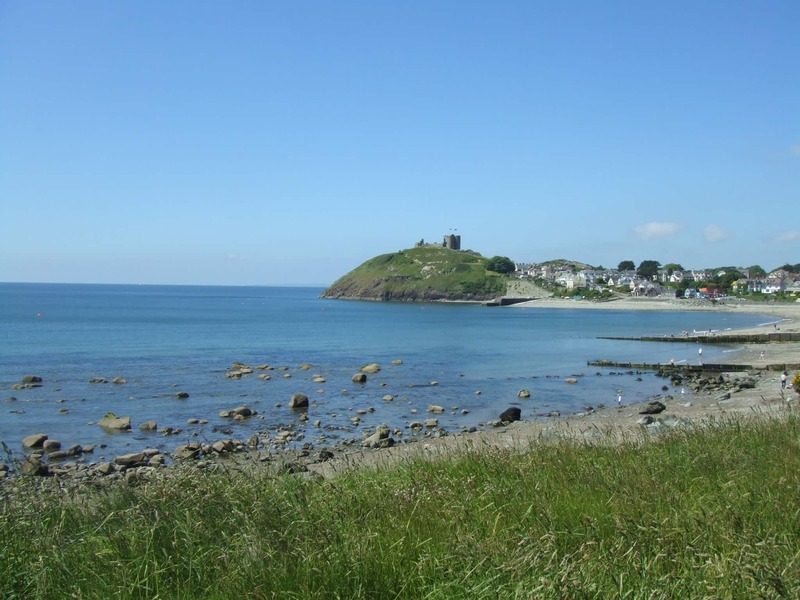 The Llŷn is one of nine sections of the Wales Coast Path, for more information, read our dedicated page on walking the Wales Coast Path. 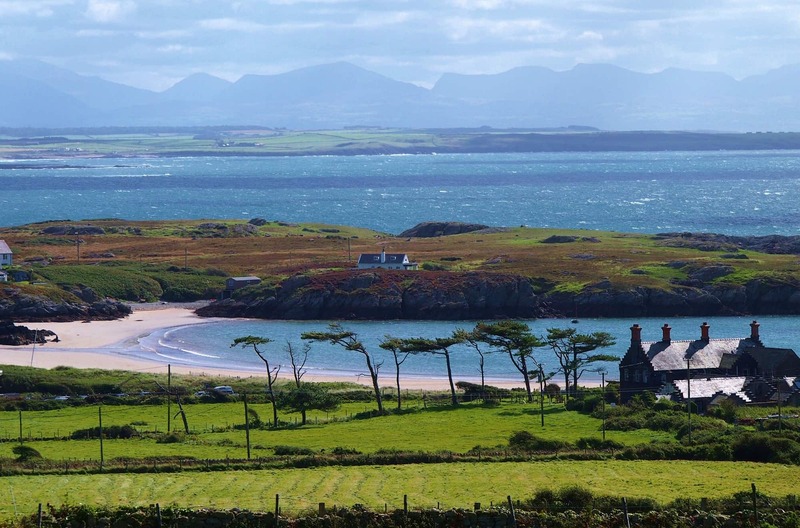 The end of the The Llŷn Peninsula joins the untamed, natural beauty of The Meirionnydd Coastal Path, just before the start of The Llŷn, is the round-island route around Anglesey. 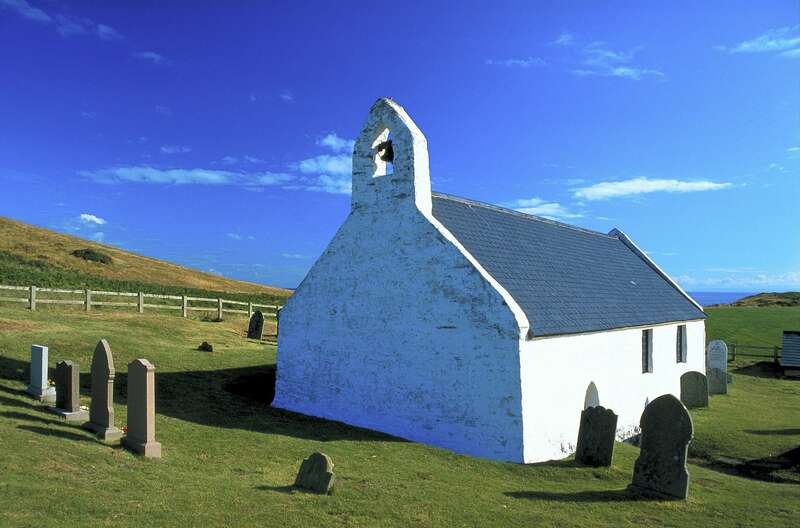 On the Aberdaron to Pentowyn Dunes of itineraries LCP1 and LCP2, as well as the Aberdaron to Abersoch on the LCP3, walkers can stop at the twelfth century St Hywyn's church - the historic stopping place for pilgrims making the treacherous crossing to Bardsey Island. From Aberdaron you can catch the ferry across the sound of Bardsey - weather conditions permtting.